Hoggs of Fife Craigmore Interactive Gilet is very lightweight packable mens quilted gilet designed to be worn inside the Glenmore WP Shooting Jacket or the Kincraig WP Shooting Jacket for added warmth when the temperature drops. 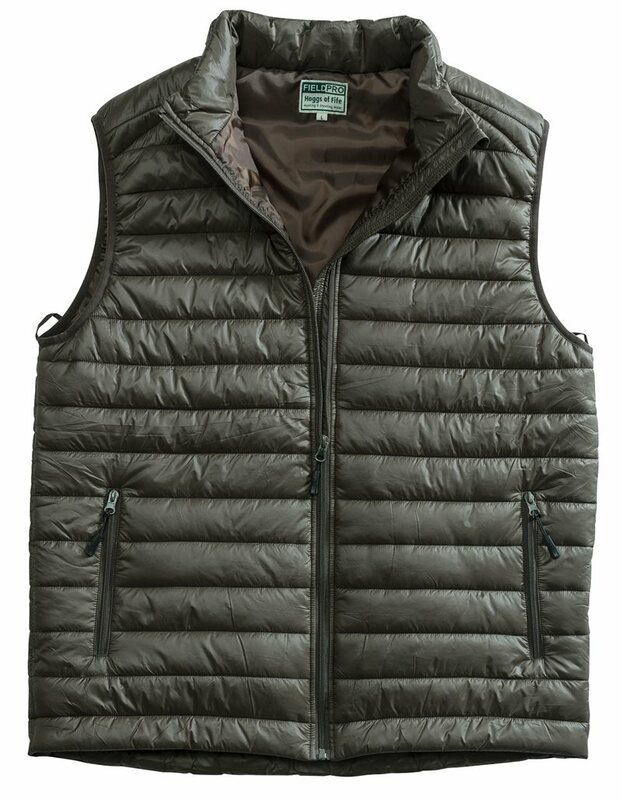 This smart quilted waistcoat is extremely versatile and looks great all year round when an extra layer is needed to keep the cold at bay. There is a full length centre front zip, two zipped side pockets and an internal wallet pocket for storing essential and the arm holes are reinforced for secure streamline fit. The outer shell is a tough durable nylon with hollow fibre padding for great insulation.